The Sport-Roller Free is based on the proven Sport-Roller Classic. The FREE line is a high performance coll- ection keeping up the well-known truck tarp looks, however, without PVC. The PVC-free fabric offers the same performance and durability, and the haptics and properties of the new fabric remain. The compact panniers are made of durable polyester fabric for lowriders in the front or rear carriers. They are the perfect size as children panniers. 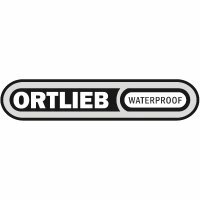 The ORTLIEB QL2.1 system allows fast and easy single-handed mounting and removal of the panniers, and is suitable for racks with a tube diameters up to 16 mm (hook inserts for diameters of 8, 10 and 12 mm are included). Once the panniers are hooked into the rack, the mounting components close automatically. For taking off the rack you simply lift the handle. A 20 mm hook is available as optional accessory. The hook rail on the lower rear side of the pannier that serves for additional fixation is made of a two-component synthetic combina- tion with anti-scratch function. This reduces abrasions on the carrier and prevents damage to the rack tubing. Thanks to the QL2.1 mounting hook rotatable in 45° steps the system is compatible with almost any bike rack. An abrasion protection on the back protects the bag from abrasions of the quick release clamp of the front wheel. An integrated inner pocket with zipper consisting of main compartment and mesh pocket helps keeping things organized. The panniers are supplied with a shoulder strap and can be carried like a shoulder bag. Two large and highly reflective 3M Scotchlite reflectors ensure safety in the dark. The waterproof pannier pair is made in Germany and PVC-free.